Lauren B. Davis is the author most recently of the novel The Empty Room. 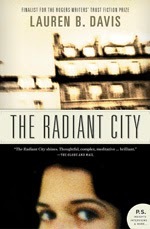 Her other books include Our Daily Bread, An Unrehearsed Desire, and The Radiant City. 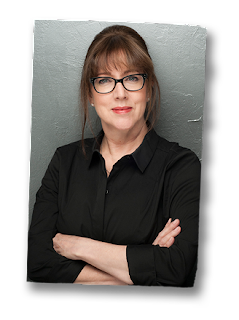 She teaches writing at a men's prison, and also runs monthly writing workshops. Born and raised in Montreal, she lives in Princeton, N.J.
Q: You write on your website that The Empty Room is "a speculative look at how a day in my life might have looked had I not stopped drinking alcohol 18 years ago." How do you identify with the issues facing your main character, Colleen? A: I identify with Colleen in many ways. Like her, although I knew for a long time before I quit drinking that I was an alcoholic, I didn't want to admit it to anyone else, nor did I want to do anything about it. I blamed other people, and things that had happened to me in the past, as a justification for my drinking. All nonsense, of course. Although I never lost a job because of my drinking, and I never puked in a night club, and unlike Colleen I was married and living in France at the end of my career as a drunk, certainly the psychological and emotional states were similar. I was filled with a nameless dread, with anxiety, with the sense there was a gaping hole in the middle of my soul. And the idea of getting through the next day, the next week without a drink seemed impossible. Those of use who stay sober one day at a time call alcoholism a disease of perception and, like Colleen, my perceptions were certainly skewed. 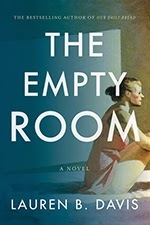 Q: Why did you decide to title the book "The Empty Room"? A: That goes back to the gaping hole. As an active alcoholic -- and I think long before I even started drinking -- I suffered with feelings of emptiness, of hollowness, of missing something. I have yet to meet a drunk who didn't feel the same way. I've heard it called "The God-shaped hole." And by "God" I'm not talking about a religious figure necessarily, although it certainly can be, but rather a sense of spiritual wholeness and connection. Q: Do you know when you start a novel how the plot will proceed, or do your characters sometimes do unexpected things? A: I always start with an idea about which I'm obsessed or something I can't figure out or some niggling problem -- in this case the overwhelming sense of gratitude that I got sober and wondering what my life might have looked like if I hadn't -- and then I begin thinking about what sort of character would find him or herself in such a predicament, or dealing with such an issue. When I have the character, I put him or her in various situations, all relating to the theme of whatever issue I'm exploring. I have no idea what's going to happen in the end when I start writing. And then, about a hundred pages in or so, an end scene pops into my mind and I start following the path towards that scene. Now, by the time I get there the people in the scene may have changed, and the setting may have changed, and what happens might even have changed, but the atmosphere, the emotional resonance, if you will, never does. Q: You've written novels and short stories. Do you have a preference between the two? A: The form is dictated by the subject matter. Short stories, while universal in theme, are like lockets in which a single image creates the moment; novels are more like necklaces. Both are beautiful in their own way, but quite different forms, with different purposes. I love both forms, and in fact I'll be part of the 13th International Conference on the Short Story in English in Vienna in July 2014. So delighted Alice Munro won the Nobel prize; it's giving whole new life to short stories. 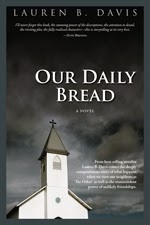 A: I'm editing my next novel, which will come out in early 2015 in Canada with Harpercollins and in the US with Chizine. It's a different sort of novel for me, set in 7th century Northumbria (England), about a seithkona - a "spell-woman" - and a Christian monk who confront each other during a time when King Edwin decided everyone should convert to the "new religion." An adventure, a fable, a rollicking good tale (I hope), and an inquiry into the difference between experiential faith and dogma. I spent a month in England with my husband on what he calls "The Forced Anglo-Saxon March Northwards" from Sutton Hoo to Lindisfarne. I talked to archaeologists, anthropologists, church historians and museum curators, and spent some truly inspirational time wandering the Yorkshire moors. In the course of writing the novel, which took about three years, I read over a hundred books and had a wonderful time! I wanted to tell what I hope will be a damn good story with intriguing characters set in a time not that many people know about. What fun it was to write. A: I love keeping in touch with readers. I'm on Twitter and Facebook and as well I have a blog. It would be lovely to see some of your readers there. Also, if anyone's interested in my book reviews they might want to join Booklikes.com and follow me there. It's a good independent social network for booklovers. And thanks for the great questions. I really appreciate it.